Ever hear a song that hit you right in the gut? One that really spoke to you? Maybe even gave you a lump in your throat? It hasn’t happened to me that often but it did this week when I heard Brad Paisley’s song “Shattered Glass” off his Moonshine in the Trunk album. He wrote it for his wife actress Kimberly Williams Paisley. 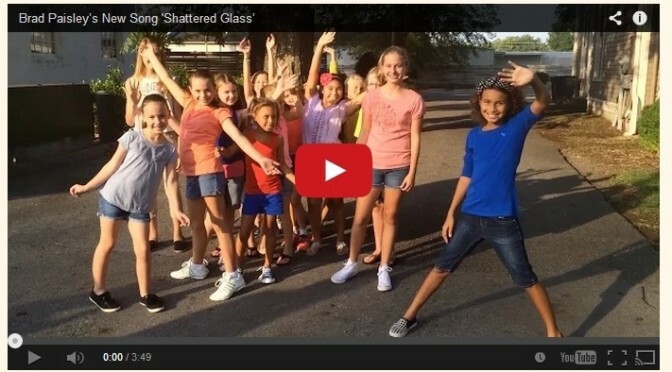 It’s all about women breaking through the “glass ceiling” and making it “rain shattered glass”! When you watch the video (and you can below) you’ll see what a great message it gives to women… and young girls. Brad Paisley has been a master marketer utilizing social media to promote this album. And for a song with this important message he took to Twitter to let one woman share it with her audience. That’s right. Ellen DeGeneres shared it on her show! What a great place to showcase a song like this. As a Dad to two young girls I really appreciate the message in this song and have shared it with my daughters. Just as cool as the video is the fact that I’ve read that all the footage was shot with iPhones! Who are 3 girls you should share this video with? If you’d like to buy the song “Shattered Glass” or the album Moonshine in the Trunk you can do it here.